As you watch the birds, admire the nature that surrounds this majestic hotel, it will occur to you that you haven’t once felt like checking your phone in the last couple of hours. It’s not your fault. 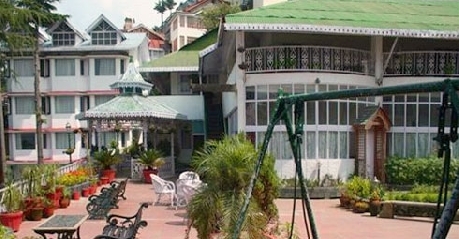 Hotel Mount View does that to you with its breath taking and charming Victorian style architecture. 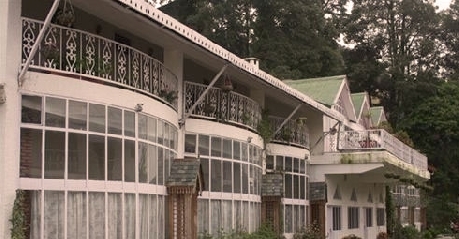 Hotel Mount View is set on Dalhousie Club Road, with the vast Bathri valley and snow covered Pir Panjal ranges in the backdrop, making it a pure feast for the eyes. 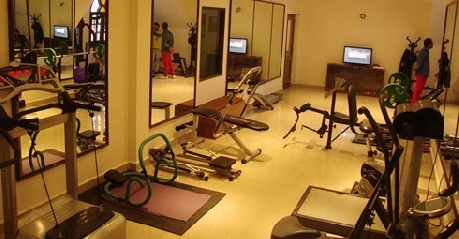 This place is bestowed with picturesque landscape gardens, “GAZEBO” an open air discotheque, “JUMANJI” Children Park, “KNICK–KNACK” store, “JINGLES” cafe, and a gym called 'Bodywise' while game-enthusiasts can entertain themselves at “FREEBEES” and “ATTIC”. For those who want to relax their senses, Anandam Spa is the destination they should head towards. 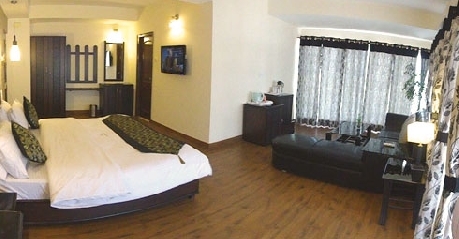 Apart from these, the resort offers free Wi-Fi connectivity and babysitting services, conference hall and a bar as well. 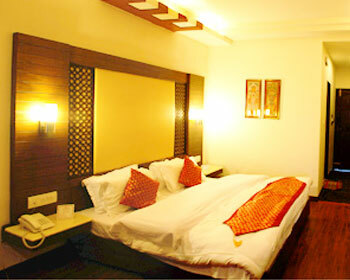 These rooms are the amalgamation of the old world charm and the modern poise. 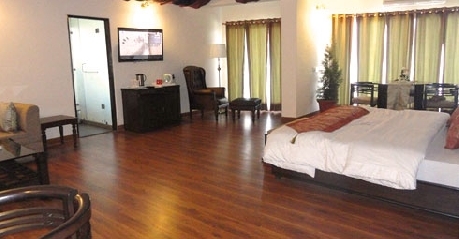 These come with wooden flooring and impressive furniture to suite your style and comfort. 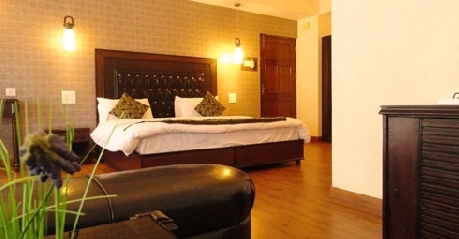 Apart from being spacious, the facilities include free Wi fi, tea maker, LCD televisions come with premium satellite channels and a balcony that faces either the lush green lawns, flowerbeds or water bodies. 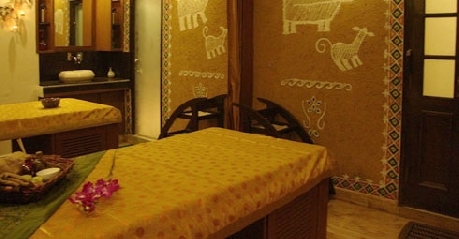 Along with the above arrangements, the guests are given Himachali juice and fruit basket/cookies on arrival, and one complimentary cake during stay and packed lunch. 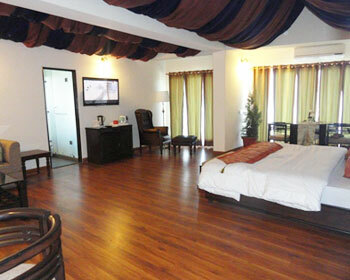 These rooms also come with the same set of facilities as above. As the name suggests, these rooms truly exude a sense of unhurried life. Going by the view and comfort, you can be easily be lulled into a blissful stupor or just contemplate life over a leisure stay. 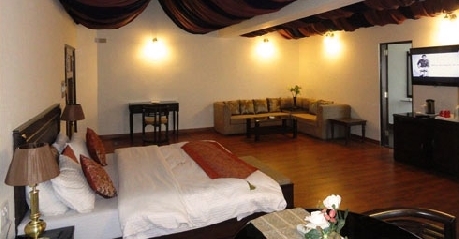 These suits consist of a bedroom, a living room area, dressing room, separate study tables, dining area, with television in both the rooms, separated w/c-shower overlooking the Pir-Panjal ranges. These suits also come clubbed with amenities like a fireplace in every room, bathroom with Jacuzzi style tubs, a mini bar fridge, and bathrobes, slippers, and toiletries that adds to the convenience. With an incredible beautiful and diverse landscape from the balcony and the windows, these rooms are surely a symbol of grandeur, brilliance, opulence, and richness. The magnificence of the décor just adds on to the nobility and majesty. 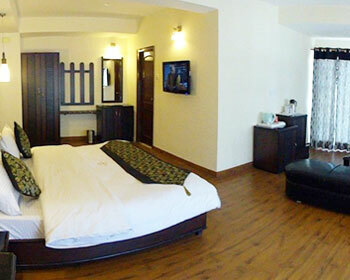 These Super Delux rooms also come with facilities same as the Classic Suite. These rooms consists of an open plan in one room accommodation with study table, sitting and bedroom, separated w/c- shower. 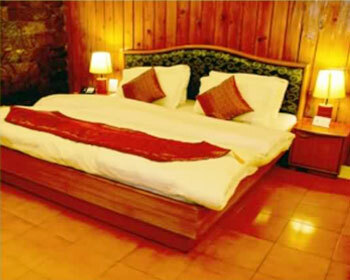 Well known as a "A Couple's Retreat," these rooms have bathroom with curtained showers and bathe area, counter tops, in rustic terracotta tiles, direct dial telephone service, satellite TV, tea/coffee maker, and basic toiletries making it a decent yet comfortable stay for the guests. This restaurant pays homage to the age old tradition of serving the food with much love and care and keeping the natural flavours intact. The fact that it has a splendid amount of different kettles from the bygone days, gives this place an old world charm. 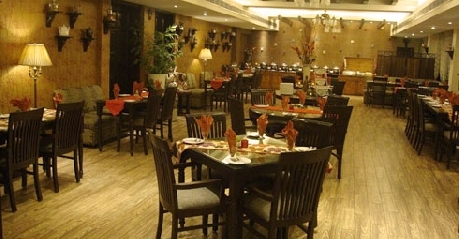 The Kettle House serves serves mouth watering Mughlai, Continental, Chinese, South Indian and special Gujarati Thali. 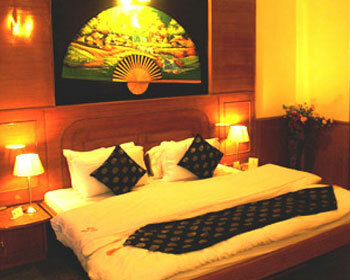 This place charms its way into your heart, sending you home with a plethora of wonderful memories. This open- air discotheque is just the right kind of place to unwind and spend some good moments with the loved ones.